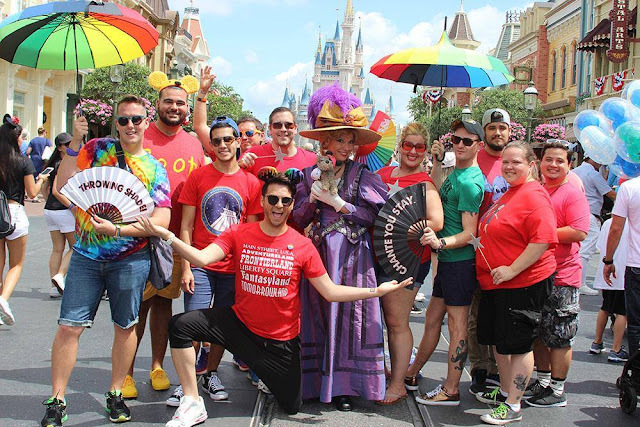 Gay Days at Walt Disney World in Florida is a loosely organized event where LGBTQ individuals, their families, friends and supporters go to the Walt Disney World theme park. Held on the first Saturday in June (with numerous other events in the area during the preceding week), it is now one of the largest gay pride events in the world. The first documented event at Disney World was today, June 1, in 1991. That year, according to the Orlando Weekly, subscribers to an Orlando computer bulletin-board service picked June 1st for a group outing to the Magic Kingdom. "They spread the word locally with fliers in bars, advising all who showed up to wear red so they would stand out. That first Gay and Lesbian Day at the Magic Kingdom, as it was then promoted, attracted a few hundred people." 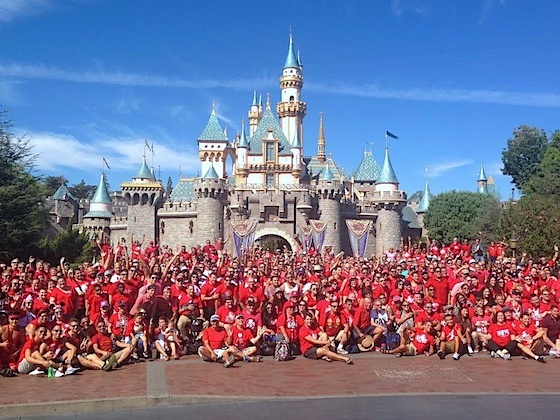 By 1995, the event had grown to 10,000 gays and lesbians traveling for the gay day at Disney. As of 2010 approximately 150,000 LGBT people, their families, friends and supporters attended the 6-day gathering (including various pool parties, conventions, festivals, a business expo, activities for kids, etc.) with 20,000 to 30,000 going to Disney on the final day. Gay Days have attracted criticism from both religious and LGBT groups. 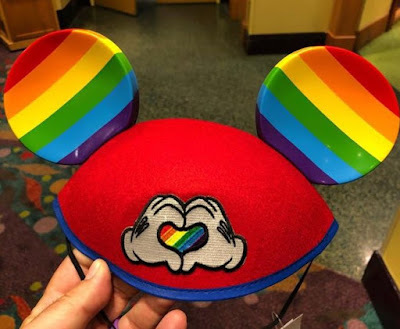 While Disney does not sanction Gay Days (and officially tells employees to treat it as any other summer day), conservative Christian groups accuse Disney of not doing anything to stop the event. The Southern Baptist Convention boycotted Disney for 8 years. The Florida Family Association flew banner planes one year warning families of gay events at Disney that weekend, citing emails from people nationwide who unknowingly booked their vacation during Gay Days.